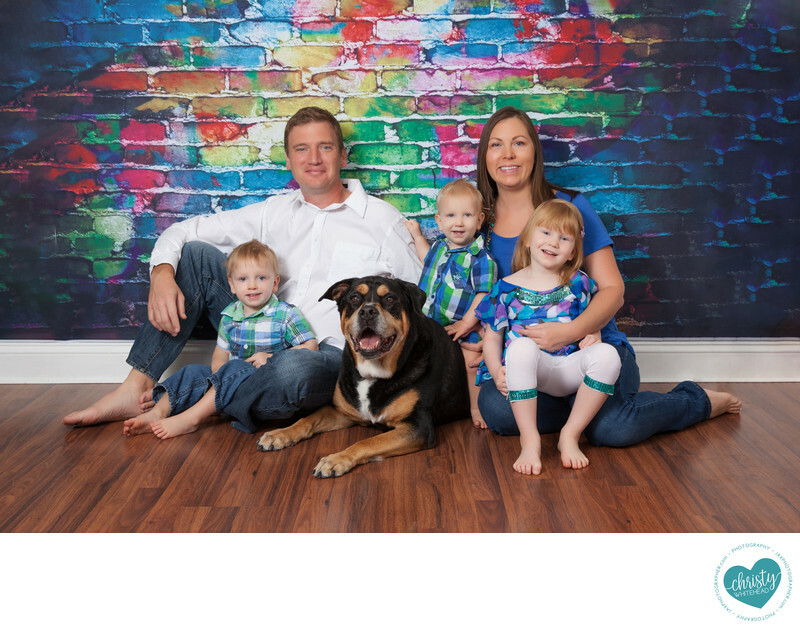 The idea of having to wrangle your dog into a family photo during your portraits can seem a bit overwhelming for some. Especially when you’re dressed in your finest fur-free-and-let’s-keep-it-that-way clothes. But I've had more than a few pets in photoshoots and I promise, it isn't as stressful as it may seem! Keep calm and smile on.It's a known fact that our pets feed of our energy. If we're anxious and worried, they will become anxious and worried. Instead, keep calm and think positive thoughts! Your pet will do just fine. Take your dog out to play before you start getting ready for your session. A good long walk, an intense game of fetch, or a half hour at the dog park, whatever it takes to burn off their excess energy. Your dog is naturally going to want to explore the location. Whether we're in the studio or on location. It's better to let them explore their surroundings and settle themselves down instead of fighting their natural instincts through the session. Like children, dogs have short attention spans. We will work in short sports to keep and hold their attention. Ta-Da we can even photograph pets and kids at the same time! It just requires patience and willingness to trust the expert.